Information on wrist watches from the Elgin National Watch Company, its history and technical details. This website is dedicated to helping people find out about their Elgin wrist watches. These vintage watches were symbols of America's emergence from an agricultural country into an industrial power. Watches are one of the few machines that were made 50 or even 150 years ago that, even today, can still be practical to use every day. If you are a new collector, you will find answers to many frequently asked questions (FAQs) in the Watch Help section. The What is a watch? web page is a good, short, introduction to what you need to know about mechanical watches. The Documents & Picture section to be a fun place to get an idea of what Elgin was and a glimpse into the past. Advanced collectors will find the information in the Technical and Elgin Database sections to cover many details not found anywhere else, either on the Internet or in print. The Documents & Picture section contains many scans of many hard to find books. I encourage everyone to join the National Association of Watch and Clock Collectors, it is a great organization where you can learn a lot about watches and horology in general. There are also a couple of good message board systems where people get together and chat about wrist watches. I can highly recommend TimeZone Vintage BBS, which discusses mostly vintage wrist watches, but also the occasional antique pocket watches. Elgin was founded in 1864, right as the civil war was coming to an end. The first watch Elgin made, an 18 sized B W Raymond railroad grade watch, was finished in 1867 and over the next 100 years, they went on to produce about 60 million watches. 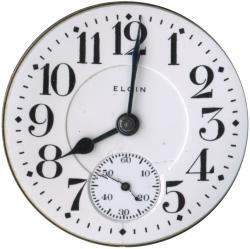 Elgin produced their first wristwatch around 1910, leading most other American watch companies by many years. Elgin was originally called the "National Watch Company". 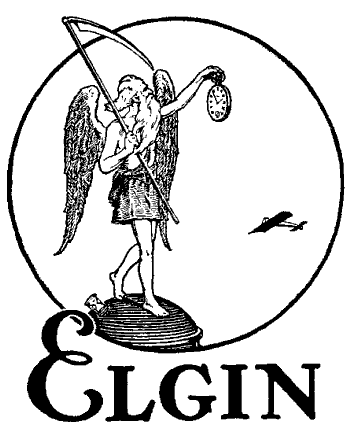 The name never really stuck and in 1874, they changed their name to the "Elgin National Watch Company" because most of the watch trade and public were calling them "watches from Elgin". They kept that name until the late 1960s when they stopped producing watches and changed their name to the "Elgin National Industries". 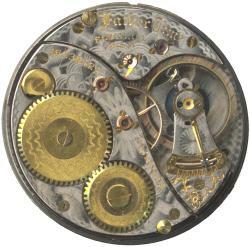 Elgin was founded on the idea of mass producing high quality pocket watches using machine made, interchangeable parts. Up until around 1850, watches were made mostly by hand, which meant that if a part broke, you had to find someone with the tools and skill to make a new part. Elgin realized that there was a large market for good watches that could be sold and repaired relatively cheaply using factory made replacement parts that didn't require hand adjusting. Elgin was one of the first American watch companies to start selling wrist watches, and they made more wrist watches than any other American watch company. Over a 30 year period, their Lord Elgin and Lady Elgin line of wrist watches became world famous for their high quality and high fashion. Elgin was the only American watch company to make automatic wind watches and the first to produce a railroad grade wrist watch. Elgin never made the very highest quality watches in the world, nor did they make the very cheapest, but together with Waltham (aka The American Watch Company), they dominated the vast middle ground of the watch market. Today, collecting Elgin watches is quite popular. Because Elgin produced so many watches and produced so many spare parts, they can still be easily bought and fixed, so even a 100 year old Elgin can be used, with care, on a daily basis. While mechanical watches can't compete with quartz watches for accuracy, there is something about having a watch that ticks that a quartz watch just can't replace. Technically, most Elgin pocket watches are not true antiques because they were made less than 100 years ago, and almost all Elgin wrist watches were made after 1915, and so they aren't true antiques. Still, people seem to consider any pocket watch an "antique" because so few people use them now a days. This web site runs on 100% Open Source Software. This web page was last changed on 07/24/2004 at 14:55:55.